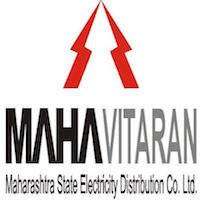 Online Application Details for Maharashtra State Electricity Distribution Company Limited MAHADISCOM Recruitment of 2 Chief Engineer and 12 Superintendent Engineer is given below. Application form and duly attested documents are to be sent to General Manager (HR-Planning), MSEDCL, Ground Floor, Estrella Batteries Expansion Compound, Dharavi Road, Matunga, Mumbai – 19. In envelope super scribed with 'Application for the Post of Post Name'.